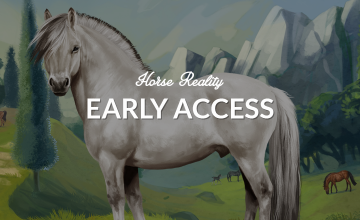 Early Access has been released on the 1st of October! The game has been in open beta since February 2017. Upon registration, we mentioned that we would completely reset the game upon official release. Meaning that if you owned an account before the 1st of October 2018, this account is now non-existing. The Early access is only opened to people who've purchased a key via our Kickstarter Campaign earlier this year or via Deloryan's Personal shop. If you haven't purchased a key at the time, you will need to wait till the official opening before you can re-register to the game again. Beta players whose account was activated and played longer than a day have been placed in the database. We have reserved your username and estate name for you, so you will be able to use the same names again. However, you can still change them if you want to! In order to retrieve your beta rewards, you will need to use your previously used email address in order to register. We will retrieve your username, estate name, date of activation and the date you were seen last in the game. During the Early Access registrations, we noticed that players who registered from a device had some issues. Please make sure you register from a computer! As the game still isn't fully ready for mobile yet. We reserve your username and estate name for you up to 3 months after the Official Opening.